Kid’s always trying to lick the beaters? Do their baking skills need a little work? Turn that inner-baker loose one week this summer. Our chef will lead all camps throughout the summer, providing baking tips, tricks and years of experience along the way. Campers will start the week learning basic kitchen techniques. 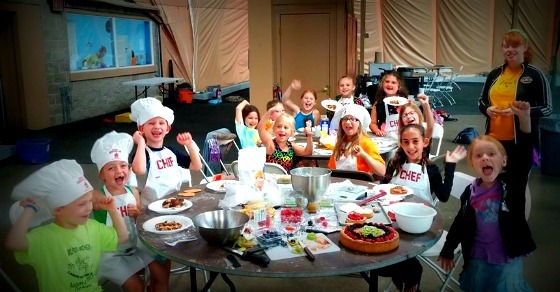 The rest of the week campers will create and style something deliciously sweet, ending with pizza making on Friday. Proper food safety will be stressed daily. All campers will receive their own apron and hat to keep!